The school year is well underway. 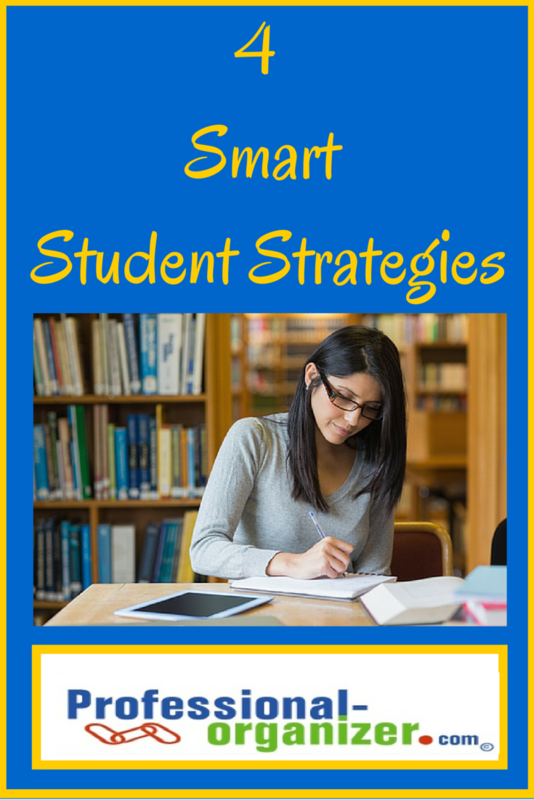 It’s time to think about how successful your student strategies are. Are you getting the grades you want? Are your strategies helping you work smarter not harder? If the answer is no to either of these questions, check out these 4 smart student strategies to make a difference. 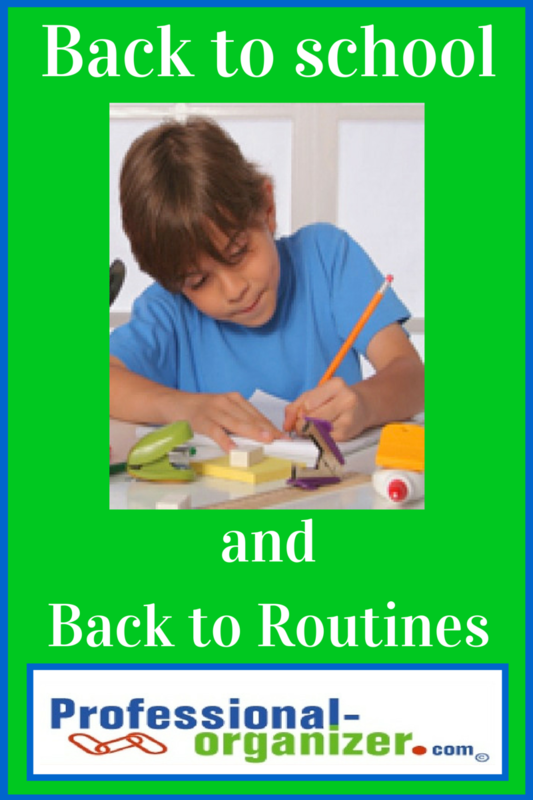 Great routines help you get the grades you want. A routine is a daily habit or series of habits. This includes recording your homework in a planner or on your smartphone, getting started with your homework at about the same time each day, and finishing up at a good time to get in bed. Routines are not easy for everyone, but a timer and smart phone reminders can help too. Be sure to have a great planner for school and a clock in your study space. Your study space needs to be distraction free and inviting to help you make the most of your study time. A distraction free environment means clear of clutter and easy to work in. Your family dining area or office can be one of the best spots for this. Your room is usually one of the worst spots for this. 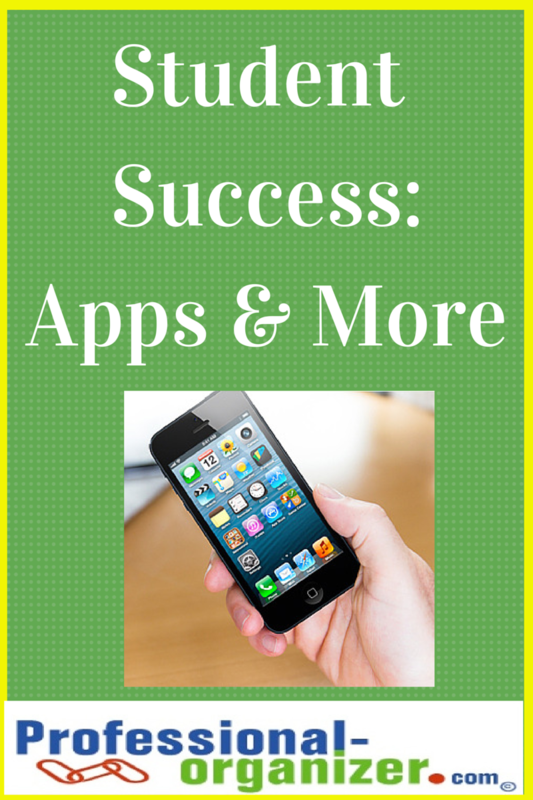 Set aside your devices or use the tech tools below to stay on track. Set yourself up for success by pulling together all your tools and set up a space that works for you. Many schools are going paperless with online tools to learn. However, we still have some papers no matter. Create a paper management system that works for you. It can be a single binder with tabbed slash pockets or an accordion file. Have a small file box with hanging files for each subject for papers that you have finished with but need for later. Start a routine of refreshing your paper plan and filing these papers weekly. Know your style and know how to study. It’s not just about spending the time, it’s about making the time valuable. Take a quick learning styles quiz to learn about your best modality to study. You are ready to make the grades you deserve by learning more about yourself. 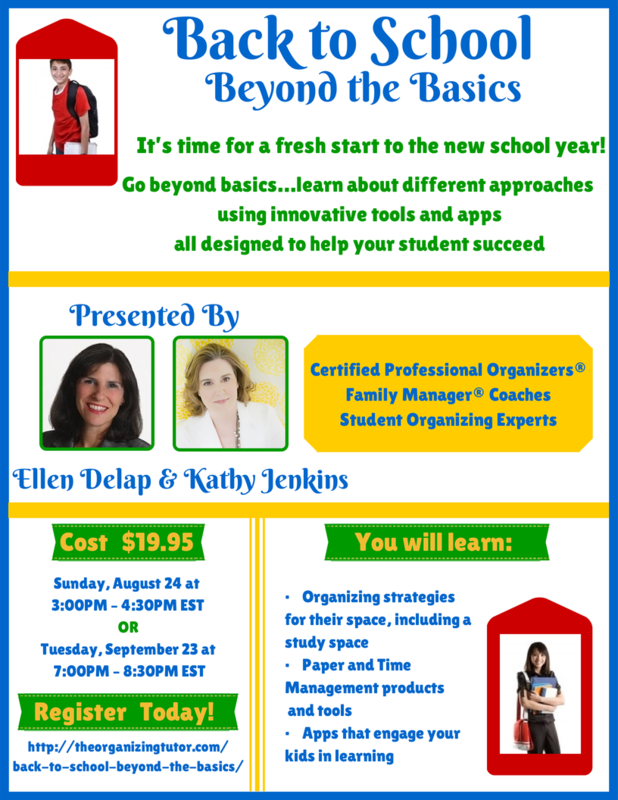 It’s Time for a Fresh Start to a New School Year! all designed to help your student succeed. There are really no classes that teach organizing to your student. Teachers will assign ways to organize a notebook or keep up with papers in a way they think will work for your student. But organizing styles vary. 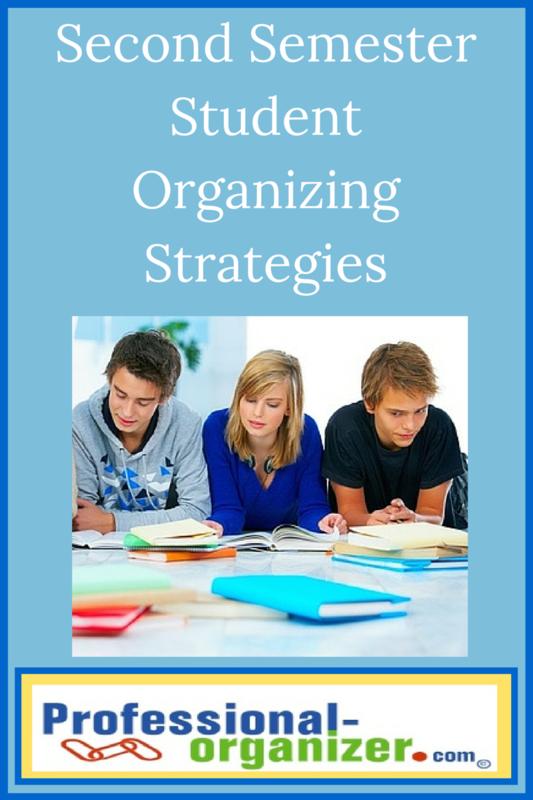 Here are some ways to help your middle and high school student get organized for school. Take a trip to a local retailer to talk about the planners that are available. Most students need a week at a glance planner. It can be a medium or large size, preferably spiral bound to fully open, and with an array of spaces to write in assignments. Have your student talk through how they will use the planner, how it will fit in their backpack, and how quickly they can get it out to write in their assignments. 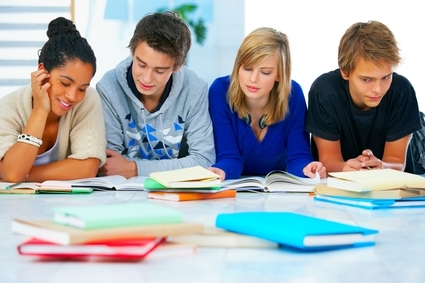 Writing down each assignment is a critical factor in getting homework done. If your student is dismisses the idea of a planner, you can start with an open pad of paper or even index cards. Students need to write stuff down. Start talking about times to start and end homework. Our students are busy and have a lot on their plate. Talk about how long does it take to do homework. Most students do best with a short break before starting homework and knowing to finish by a certain time. Having time on the weekend is important for projects and getting a little ahead each week. Set up a space for homework that promotes productivity. The dining room is a great spot to work because there are few distractions. Stock a caddy with the tools needed, like pens, stapler, scissors, index cards and tape. Establish a homework folder. This is the one place all homework goes to when assigned and ends up in when completed. Having a single spot to put any and all homework and notes makes it easy to find and turn in assignments. Kids are overwhelmed by paper too. Set up one notebook that holds all the subjects. It’s easier to keep up with one notebook than seven. In the notebook use tabbed slash pockets for each subject. Papers slip in and out easily without needing a hole punch. Purchase a small file box and label tabbed hanging files with each subject. Once a marking period, sit with your student while cleaning out from the notebook to the file. What strategies does your student use to organize? Back to school means time for homework time! It’s the least favorite time of day for moms, dads, and kids. Having a great spot organized for homework makes it easier to get this job done. Easy to access supplies helps your child stay focused and on task. Will one of these stations will help you and your child be more efficient and effective? Remember when you were in school and did your homework in your room? How much did you accomplish? 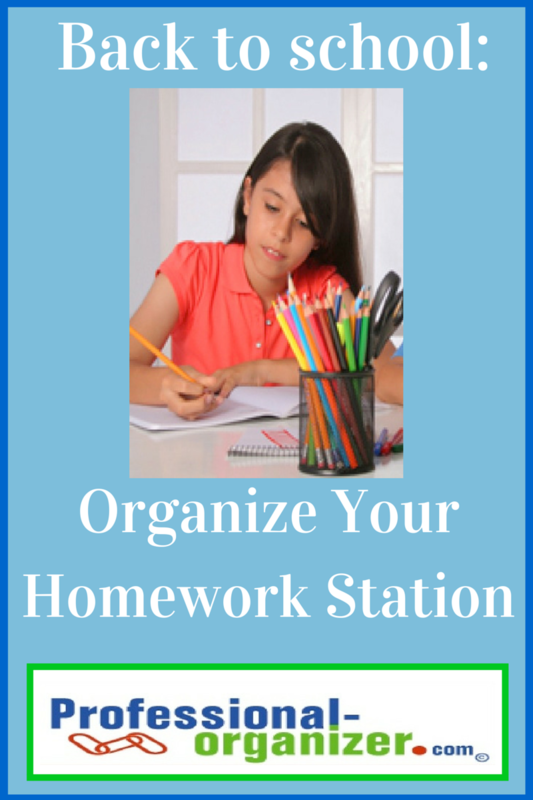 Have an honest discussion with your child about doing homework in this space and assess if this works well. 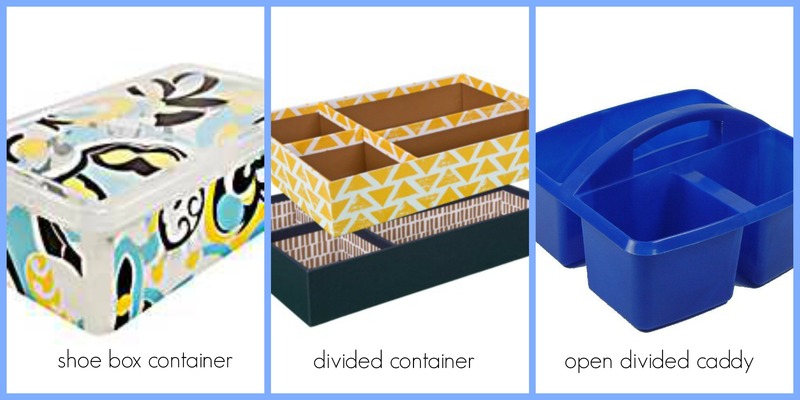 Stock a small sterilite 3 drawer desk top container with supplies like tape, scissors, and mini stapler in one drawer, pens and highlighters in one drawer, and pencils and colored pencils in a drawer. Dining rooms are a great place for homework. It is just one step away when you are making dinner if you need to answer a question. Your child can hear the sounds around the house but still work in a quiet environment. Stock a small utensil caddy with supplies. The caddy can be moved during dinner time. Multiple kids doing homework at the same time? Place a long table against an available wall, place cork boards on the wall facing each child’s place, and place a shoebox with supplies for each child with each chair. Have a starting time for homework. A little time off and a protein based snack are a good break before getting started. The earlier your child starts, the easier it is to get homework done. Timers help kids get started on their homework. Help your child get started or get finished using a clock faced timer. Set the timer for 15 – 20 minutes. If your child is working when the timer rings, then just keep going with homework. If not, have your child take a 5 minute break, walk around, get a drink, and then reset the timer and work again. After homework is complete, be sure you see your child return the homework to a homework folder and pack the backpack. This prevents losing completed homework!